HP announced it will continue making PCs on Thursday, but the long-suffering WebOS division will by officially shut down, according to the Guardian. As of yesterday's announcement, the company was officially stating that the operating system's future was undecided, but the Guardian understands the end of the road is imminent. 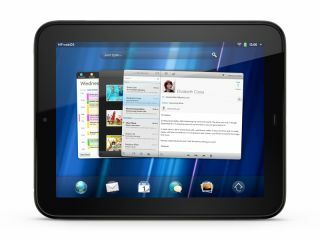 The complete abandonment of WebOS, which is already on hiatus following the HP TouchPad fiasco, could lead to the loss of up to 500 jobs. One HP employee, working within the WebOS division said: "There's a 95% chance we all get laid off between now and November, and I for one am thinking it's for the best." The shut down would represent one of the biggest losses in recent tech history with HP paying Palm $1.2 billion to acquire WebOS just 16 months ago. The HP TouchPad failed to catch on until a fire sale, and a £100 price-tag, briefly made it one of the hottest properties in the tech world. Other WebOS devices like the Pre 3 and the HP Veer went the same way as the previous Palm WebOS efforts, leading to the swift decision to cease WebOS operations. If you consider the losses HP would have taken on building the hardware and marketing the products then it all adds up to one almighty black hole in the coffers. While an official announcement is yet to be made, it seems the Grim Reaper is sharpening his scythe and ready to pounce on WebOS.